In a recent post, the Imagineering of the remarkable Seven Seas Lagoon was featured. The sparkling man-made waterway serves as a beautiful entry sequence for the magic kingdom and a romantic setting for resort hotels, and since its first days has also been a location for a variety of remarkable watercraft. Walt Disney World has always been “a world on the move,” abundant transit has been part of the show since day one—and Seven Seas Lagoon has always been alive with water traffic and activities. 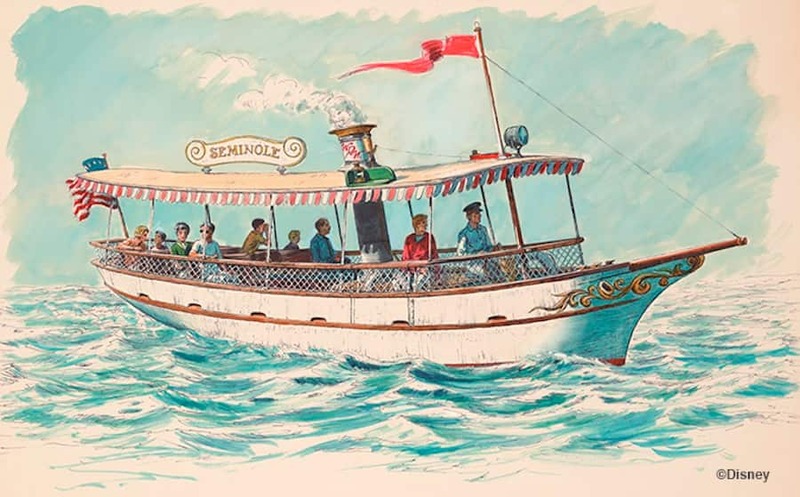 Early transportation from Guest Parking to Magic Kingdom Park was on a pair of one-hundred-foot-long “Osceola-class” steam-driven side-wheel paddleboats, named Ports-O-Call and Southern Seas. They were run by “Gallows A-Frame Walking Beam” engines, and highly authentic to their 19th century precursors, including erratic oil-fired boilers and fussy steam engines. The early days of Walt Disney World were quite different from the bustling 24-hour enterprise we know today. The Magic Kingdom and that resort area were all there was, and park closing time was usually six o’clock, except on weekends. With no guests to transport from the Transportation and Ticket Center to the Magic Kingdom, the two ships saw evening service as “cruise ships.” Moonlight Cruises departed from the two hotel marinas on Monday, Tuesday, Wednesday, and Saturday evenings. “One and a half hours of leisurely cruising, live entertainment, and cocktails” the advertising promised. In 1973 an additional departure from Fort Wilderness dock was advertised. In 1972, a pair of 120 foot long, 600 passenger, diesel-powered ferry boats (Magic Kingdom 1 and Magic Kingdom 2) took over the practical Guest transport on Seven Seas Lagoon, and the two Osceola-class ships were left solely to a regularly-scheduled recreational activity, “Cruises depart at noon, 1, 2, 3, 4 and 5pm, from the Magic Kingdom dock, directly in front of the Main Street railroad station,” the brochures stated, “90 cents or ‘E’ coupon at boarding gate.” The Southern Seas suffered damage and was retired in 1977, the Ports-O-Call was retired shortly after the opening of Epcot in 1982. In 1977, a 120-foot diesel version of the Osceola Class sidewheel boat, termed a “Seminole” class, but also called Southern Seas, was built and began service, but was retired in 1996. 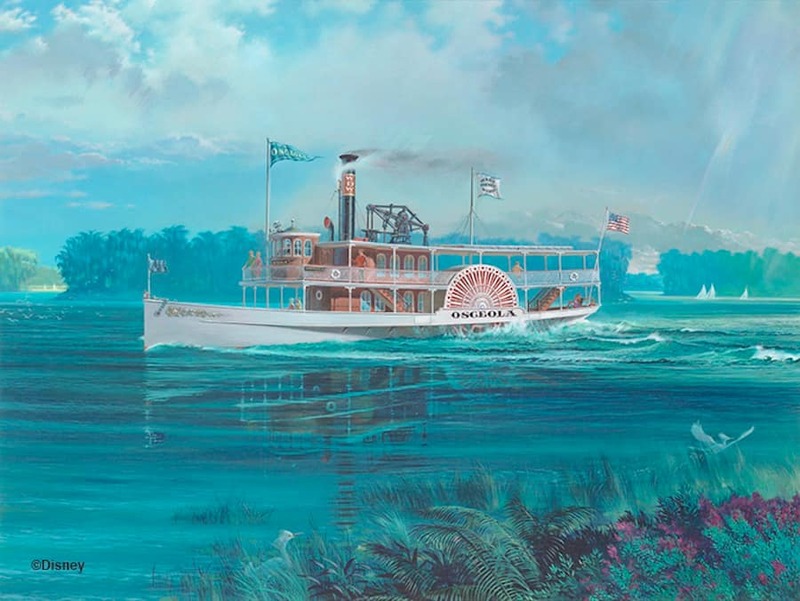 An “Orlando-class” steamboat was also proposed, but never built—it would have measured 140 feet, with amenities such as a topside observation level and a dance floor on the first deck. Sharp-eyed Guests can see blueprints of the unbuilt ship in Boatwright’s Dining Hall at Disney’s Port Orleans Riverside. Those early visitors to Walt Disney World might have seen a 65-foot long Chinese junk, the Eastern Winds, a floating cocktail lounge, with deck and below-deck lounge and seating areas. Typically it was moored at the hotel’s marina, but it was a functional boat, and frequently offered “An Oriental Adventure,” an hour-and-a-half cruise that departed three times every evening. In addition to the on board libations and entertainment, the “Oriental Odyssey” offered views of the Water Ski Show, the Electrical Water Pageant, and the Fantasy in the Sky fireworks. There were even seafaring voyages on a “Polynesian Outrigger and War Canoe” from the hotel’s Marina. 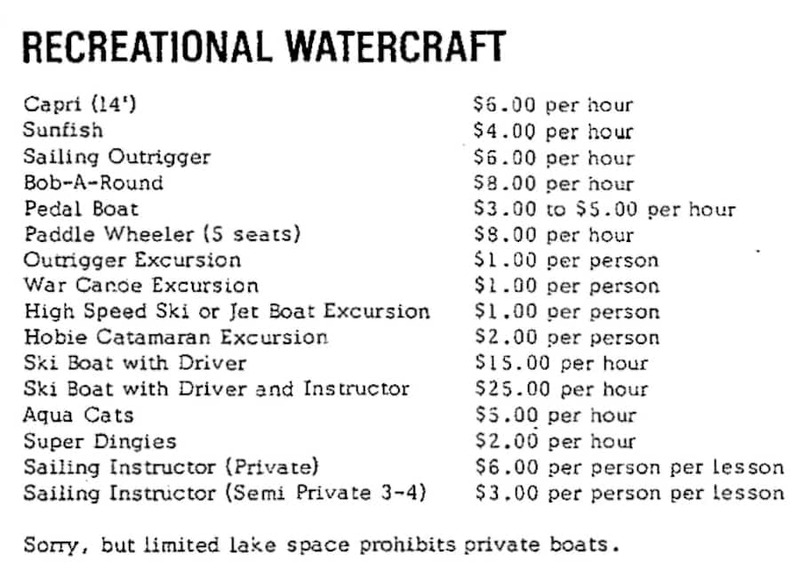 An October 1971 listing of the available water craft rentals at Walt Disney World. Individual and group aquatic recreation took many forms on Seven Seas Lagoon and Bay Lake, fondly-recalled are the distinctive 1970’s Bob-a-Round boats, four passenger circular floats which boasted a self-contained stereo system and looked much like floating beverage cups. “Bob-A-Rounds,” it was promised in ads of the period, were “the perfect craft for leisurely sight-seeing cruises, are family favorites.” Popular, but fussy and high-maintenance, the colorful craft seem to have disappeared by 1978 or so. Over the years, additional offerings on the lagoon have included two-passenger self-propelled Paddle Boats, five-seat Paddle Wheelers, various Speed Boats, Hobie Catamarans, Ski Boats, Aqua Cats, Super Dingies, various Sail Boats, and the speedy Aqua Lark mini-boats. For a short time, there was even a water skiing show, the Walt Disney World Water Ski Spectacular (also known as the Wonderful World of Water Ski Show), for two summer seasons in 1972 and 1973. Transportation and recreation on the waterways of Walt Disney World remains an important and popular part of the resort amenities to this day, and the addition of water parks and an array of resort pools guarantees unending opportunities for a “wonderful world of wet” for Guests of the Vacation Kingdom of the World. @MICHAEL, totally loved your post, your description put me right in that wonderful-sounding moment! Wonderful!! Triggered all the fantastic memories of visits to the Magic Kingdom for so many years. Sailing the Seven Seas Lagoon towards the Magic Kingdom with toddlers on shoulders so full of anxious anticipation and pure joy…..and then holding them draped over shoulders on the return trip as the days Disney magic rendered them incapable of keeping their wide eyes open any longer. Each year watching them grow up with the same look of wonderment and joy as if they were returned to those days. Permanently etched in my mind. Awesome! Great history and information! Live seeing Disney Park History shared by the blog. Keep these articles coming! 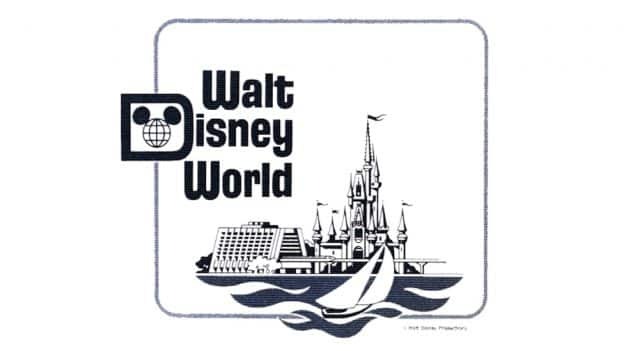 Please use this glorious WDW logo at every possible opportunity from now through the end of time. Great article! I was a pilot/engineer on virtually all of the boats of Watercraft. Wonderful memories! I absolutely love these looks back. Sure, it’s important to spotlight new offerings, but it’s also nice to reach into the past and remember a bit of the history of the resorts. Thanks for this article! One of my earliest memories is seeing Goofy water skiing in the Seven Seas Lagoon as we took the ferry boat to the Magic Kingdom in 1983. What were the years of the “water sprites?” I remember using them in 1981, 1984, 1986, and 1988. There was always an argument as to which color sprites were the fastest–the Polynesian had the yellow ones, and I can’t remember the colors from the Contemporary, Fort Wilderness, and later, the Grand Floridian. We always stayed at the Polynesian, and I remember going over to the Contemporary to rent one of their water sprites because we decided they were the fastest. Fantastic and informative article! I love the beautiful concept art of the watercraft as you rarely ever see early Walt Disney World concept art. 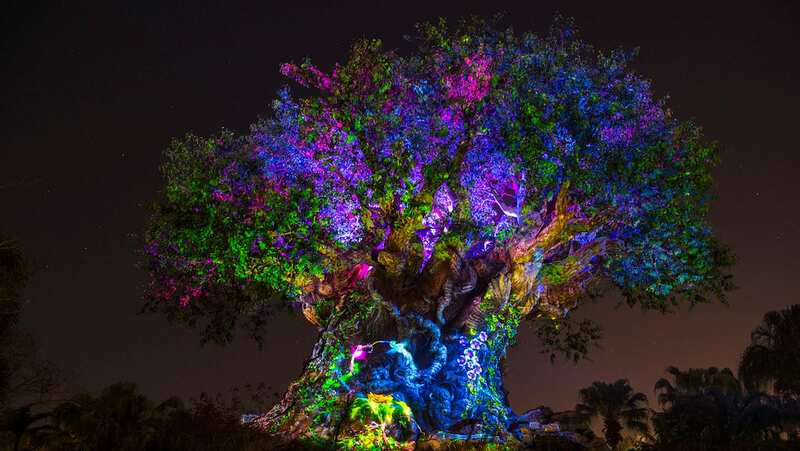 This article brought back great memories of fun on the lakes of Walt Disney World and I can’t wait for more in depth pieces like this! Thank you! Fantastic article! I love renting boats from the resorts, such a great way to spend an afternoon.